Colorful and obvious infographic map location pointers can make infographic map attractive and help people find the place much easily. Edraw is a powerful and smart infographic maker which provides various built-in map location pointers for users to drag and drop. Below pictures shows a part of map location pointers. All the pointers are editable. Users can change the colors, directions and dimensions of pointers to meet the requirement of different maps, they can also choose group or ungroup the pointers. And Edraw is keeping creating more infographic elements. 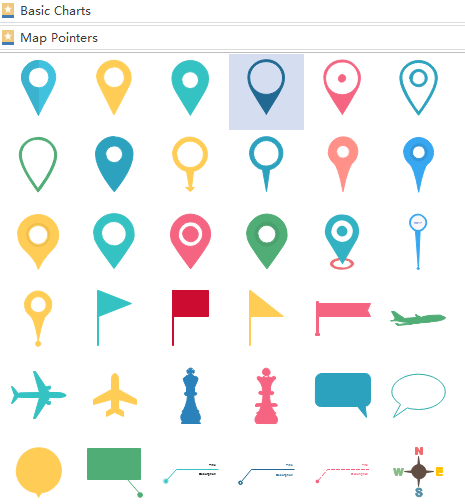 Here lists 3 examples of different infographic map location pointers application. 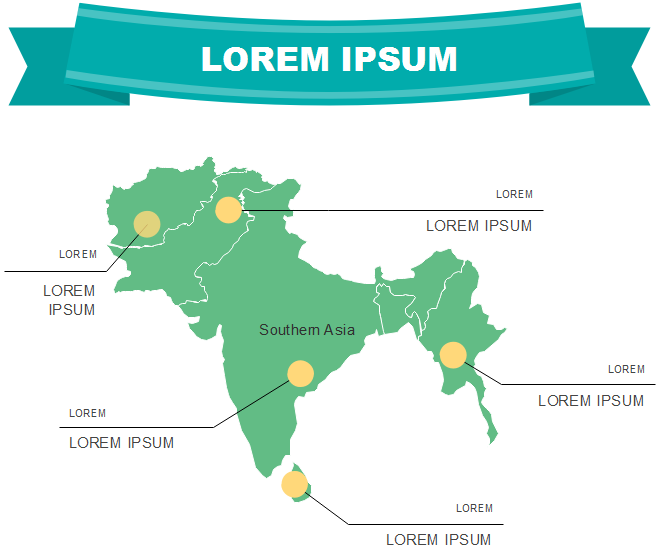 Users can also create their own infographic maps with pointers according to these examples. The pointer in the first example is one of common pointers and it has 10+ different versions. 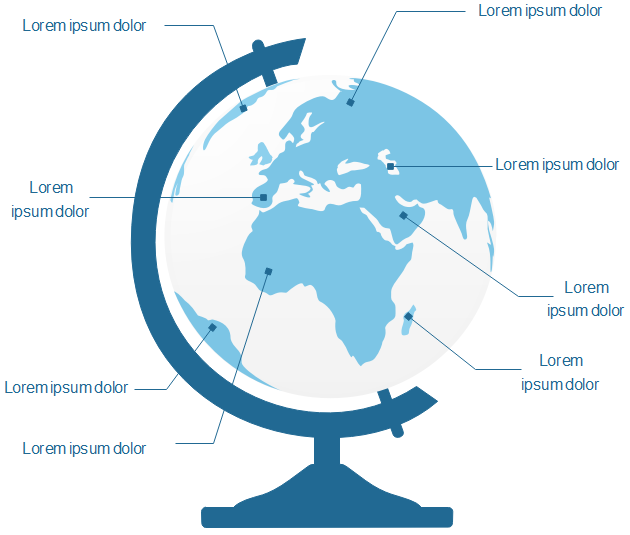 The second example uses line text pointer to point the location in the globe. The pointer in the third example is similar with the second one, which also points a location and add text to explain it. 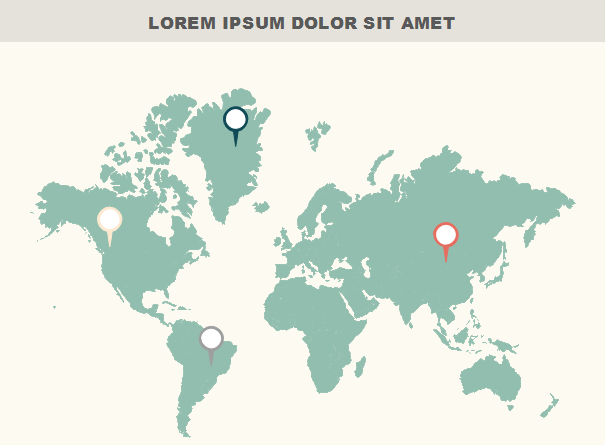 Want to use the above map pointer in your infographics? Download Edraw Infographic Maker! It includes a large variety of map pointers which are easy to modify. Design a wonderful infographic is just a few click away. Try it now!